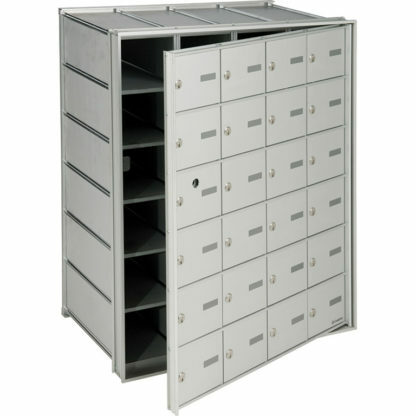 For internal mail delivery, the compartments can be accessed from inside the mailroom located directly behind the assembly. Also, the smaller sized boxes are individually locked and keyed differently. Ideal for universities, hospitals, transport companies, internal mail distribution centers, military bases, and for other needs requiring safe storage for personnal belongings. Size Available sizes range from 1 to 6 compartments wide X 1 to 12 compartments high. Other compartment sizes are also available upon request. Equipped with a master lock, one compartment is dedicated to its installation. 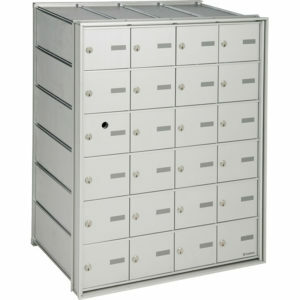 Mailbox width and height dimensions + 1/4" or + 6mm and minimum wall opening depth of 17 1/2" (44.5 cm). The delivery personnel can access the compartments from inside the mailroom located directly behind the assembly. Also, the compartments are individually locked and keyed differently. Ideal for apartment buildings, universities, hospitals, transport companies, mail distribution centers, post offices, military bases, and other applications. Size Available sizes range from 1 to 6 compartments wide X 1 to 8 compartments high. Other compartment sizes are also available upon request. For internal mail delivery, the compartments are smaller and can be accessed using a master lock located in the front of the assembly. Also, the compartments are individually locked and keyed differently. 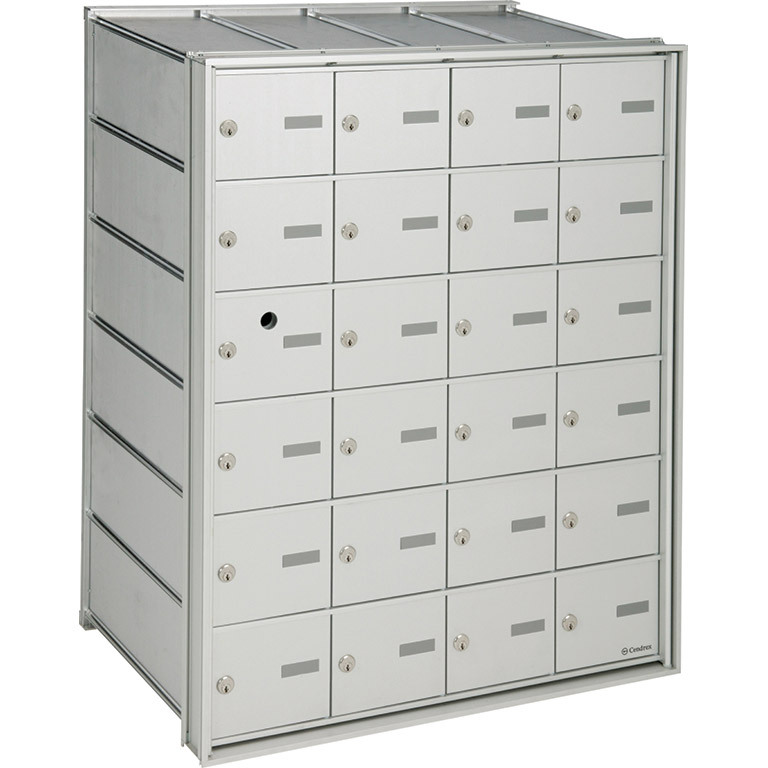 Ideal for universities, hospitals, transport companies, mailrooms, military bases and for other needs requiring safe storage for personnal belongings.